US equity indexes closed moderately mixed, sp -5pts at 2472. The two leaders - Trans/R2K, settled +0.3% and -0.5% respectively. 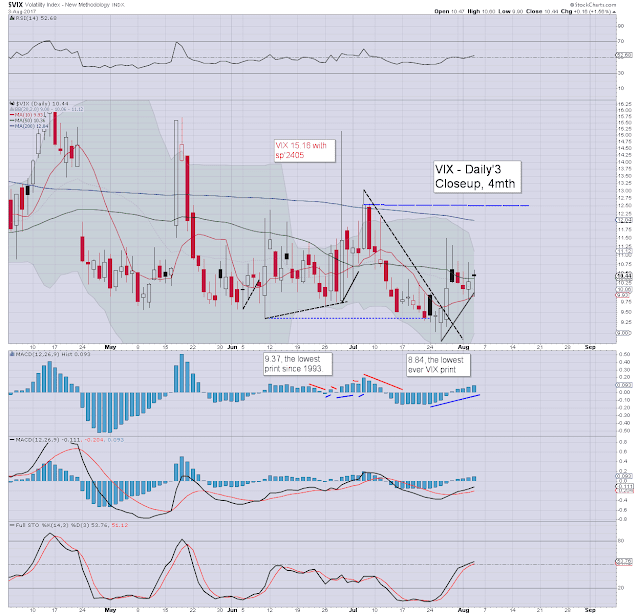 VIX settled +1.6% at 10.44. Near term outlook still offers a brief washout to sp'2435, before a far better opportunity to push upward into the 2500s by September. 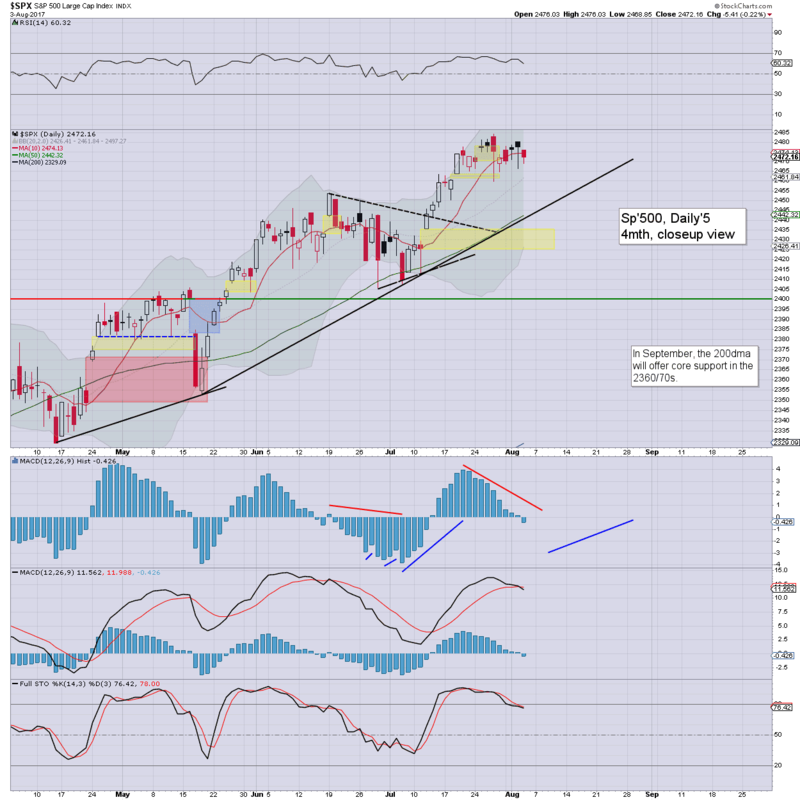 US equities opened fractionally mixed, and it ended up being just another day of minor chop. There was notable weakness in the R2K, which declined for the 6th day of the past 7. Market volatility remains very subdued, with the VIX again falling into the 9s. Remember how the 9s was seen as 'crazy talk' a year ago, and here we are.. regularly seeing the 9s.. or even the 8s. 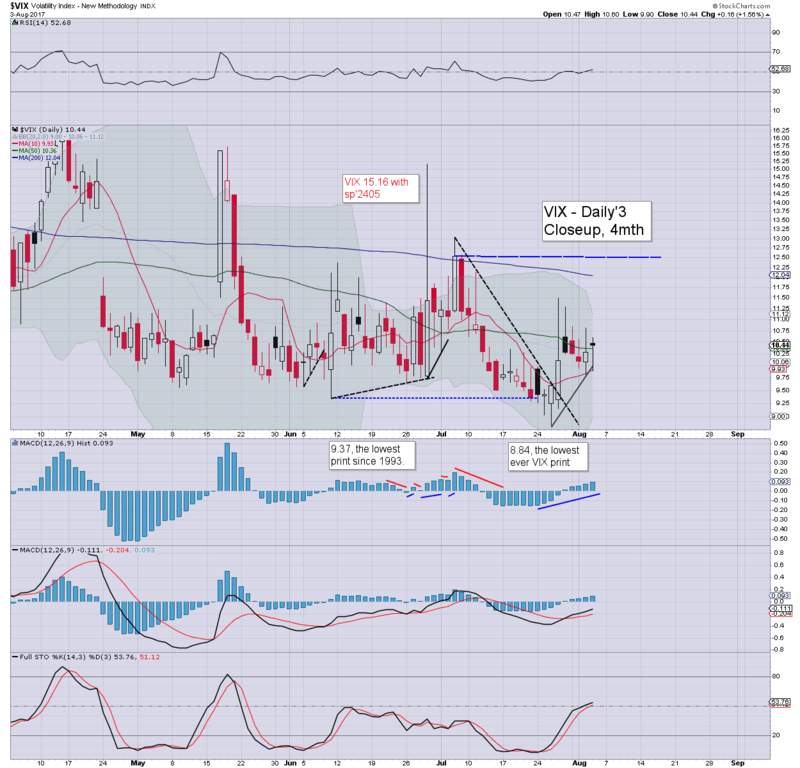 If sp'2435, then VIX 12s seem briefly probable. 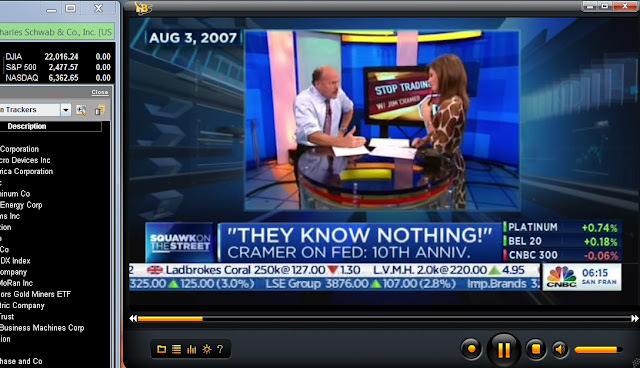 A full decade since the Cramer was warning of trouble for his finance friends and the broader economy.